A reminder as many seem to have either forgotten, or just like to push the envelope. Political threads are prohibited on Cigar Asylum by our rules. If you feel you must discuss, rant or banter about politics, there are eleventy billion websites you can do it on. Cigar Asylum is not one of them. We have been a bit more relaxed in the "Jokes Forum", as long as the jokes aren't blantantly partisan, or a veiled attempt to slam a politician / party. Several have received warnings and infractions recently for breaking the rule. Consequences may become more stern as the "envelope pushing" escalates. Thank you, Admiral. The last thing we need is for the divisive nature of political discussion as it exists today to permeate our safe haven here. I come here to avoid politics. Thanks for this. I am as politically opinionated at anyone but my cigar and CA time is about relaxing and mind freeing enjoyment, I hope it stays that way. I'll vote for that, Tom. Best policy ever! Talking politics can even destroy friendships. Thanks guys. 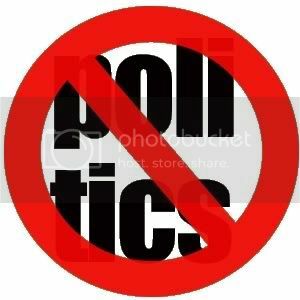 NO POLITICS! Didn't you get the message???!!! Found his new, addictive time waster. Topic closed for discussion. Thank you for your support, I agree that I have seen political threads ruin friendships. I appreciate all the support.